How do I view the full content of a text or varchar(MAX) column in SQL Server 2008 Management Studio? 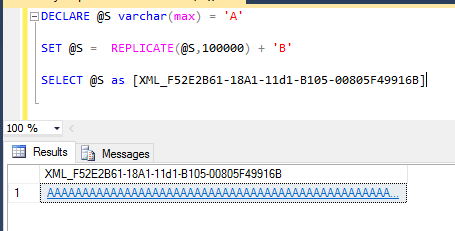 This column contains very large logs of exceptions and associated JSON data that I'm trying to access through SQL Server Management Studio, but whenever I copy the results from the grid to a text editor, it truncates it at 43679 characters. Unable to show XML. The following error happened: Unexpected end of file has occurred. Line 5, position 220160. One solution is to increase the number of characters retrieved from the server for XML data. To change this setting, on the Tools menu, click Options. So, any idea on how to access this data? Would converting the column to varchar(MAX) fix my woes? One trick which might work in quite limited circumstances is simply naming the column in a special manner as below. However this does have some significant problems. Adding extra columns to the query breaks the effect and extra rows all become concatenated with the first one. Finally if the string contains characters such as < opening the XML viewer fails with a parsing error. A more robust way of doing this that avoids issues of SQL Server converting < to &lt; etc or failing due to these characters is below (credit Adam Machanic here). 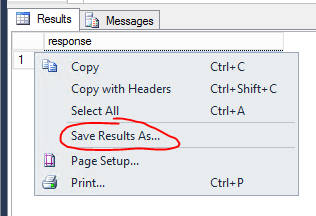 One work-around is to right-click on the result set and select "Save Results As...". This exports it to a CSV file with the entire contents of the column. Not perfect but worked well enough for me. Did you try this simple solution? Only 2 clicks away! Choose the Select specific database objects and select your table. Your sql script should be generated based on the options you set in 4.2. Open this file up and view your data. The data type TEXT is old and should not be used anymore, it is a pain to select data out of a TEXT column. ntext, text, and image data types will be removed in a future version of Microsoft SQL Server. Avoid using these data types in new development work, and plan to modify applications that currently use them. Use nvarchar(max), varchar(max), and varbinary(max) instead. you need to use TEXTPTR (Transact-SQL) to retrieve the text data. Also see this article on Handling The Text Data Type. You would then need to manually combine them again. You are out of luck, I think. THe problem is not a SQL level problem as all other answers seem to focus on, but simply one of the user interface. Management Studio is not meant to be a general purpose / generic data access interface. It is not there to be your interface, but your administrative area, and it has serious limitations handling binary data and large test data - because people using it within the specified usage profile will not run into this problem. Presenting large text data is simply not the planned usage. Your only choice would be a table valued function that takes the text input and cuts it rows for every line, so that Management Studio gets a list of rows, not a single row. 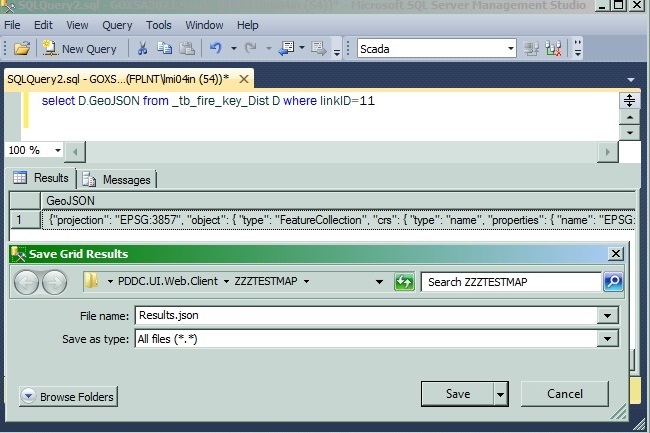 I prefer this simple XML hack which makes columns clickable in SSMS on a cell-by-cell basis. With this method, you can view your data quickly in SSMS’s tabular view and click on particular cells to see the full value when they are interesting. This is identical to the OP’s technique except that it avoids the XML errors. Not the answer you're looking for? Browse other questions tagged sql-server sql-server-2008 ssms or ask your own question. Is 43679 a magic number? MS SQL Server 2008R2 : How to retrieve the content of a large text column?